People who take part in a physical activity at work have lower blood pressure and resting heart rate compared to those who do not, according to research by psychologists from the University of Leeds. The study developed an intervention that targeted more than 1,300 employees from 44 worksites within five organisations, including the local county council. Half of the worksites were randomly assigned to receive the intervention, and half to receive a leaflet that raised the awareness of a healthy lifestyle. At the start of the study, participants were given a health check to measure their blood pressure, body mass index and body fat. Each participant was asked how they felt about physical activity, how much physical activity they carried out, how satisfied they were with their job and how many days they had lost to sickness. 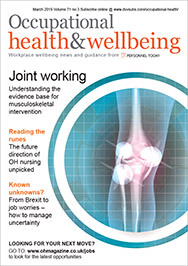 The intervention was run for three months, carried out by physical activity “champions” within each workplace, with leaflets, self-monitoring tools, team challenges and posters working to keep people engaged in their physical activity. At the end of the study the participants reported how much physical activity they had done. The health checks were repeated 12 months after the start of the study. While the researchers found no significant improvement in the reported levels of physical activity, those who took part in the physical activity intervention had improved blood pressure and resting heart rate readings at the end of the study. A pedometer-based intervention is set to be tested and the team plans to look at how social networks can influence health behaviour. The study was supported by a £300,000 grant from the Bupa Foundation.